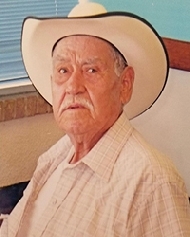 Javier Issac Longoria Sr. obituary. Carnes Funeral Home. Visitation will be held on Wednesday, April 18, 2018 at Carnes Funeral Home - Texas City. Visitation will begin at 5 p.m. and Rosary will be recited at 7 p.m. Funeral Mass will be on Thursday, April 19, 2018 at 11 a.m. St. Mary of the Miraculous Medal in Texas City, followed by interment at Mt. Olivet Cemetery in Dickinson, Texas. Javier was born May 25, 1937 in Zaragoza, Coahuila Mexico to Jose and Maria Castro Longoria. He moved to Texas City at the age of 16. Javier worked for Texas City Railroad and retired after thirty-three years of service. His favorite past times were always hunting and fishing. But fishing, by far, was what brought him the most joy. He spent countless hours at the Texas City Dike. Although he was unable to continue fishing these last few years, there was not a day go by that he could not be found at Bay Street Park feeding the ducks. Javier is preceded in death by his parents; son, Javier I. Longoria, II; sisters Catalina L. Gonzalez and Amalia Rodriguez; brothers Jose and Salvador Longoria. He is survived by three children Celine Stein (Jeff) and Joe Longoria (Denise) of Dickinson and Elisha (Reese) Kimball of Tomball; grandchildren, Cody, Lillian and Anastyn Longoria, Trent and Kenzie Godeaux, Camden and Cale Kimball; sisters, Julieta Elizondo (Pedro) of Texas City and Odilia Lerma of Uvalde as well as numerous nieces and nephews. The family wishes to extend a deep heartfelt wish of gratitude to his longtime friend, Mario Trevino of San Antonio, Texas. Mario was more than just a friend to Javier. Their longtime friendship was based on both love and admiration by both. Mario and his family were more than friends to Javier, he considered them family. As his niece, I would like to let my uncle know that it was an honor and privilege helping him these last few years in any way I could. My mom asked to watch out for you before she left us. I did not see this as an obligation, it was just the right thing to do for a family member. We grew very close the last few years and for that I am grateful. Thank you for sharing the stories of your youth, and adventures both here in Texas City and Zaragoza. I asked you to do me a favor before you left. I hope the hug you passed along was a big one. Our block will not be the same without you. I’m going to miss our talks in the driveway.